TORONTO, April 19, 2018 /CNW/ - Absolut, a global pioneer of progress and creativity, is hosting a panel discussion featuring cultural leaders who will explore the emerging trend of progressive nightlife and its role in creating tangible change. This is the latest in a series of initiatives supporting Absolut's ongoing platform, Create A Better Tomorrow, Tonight. 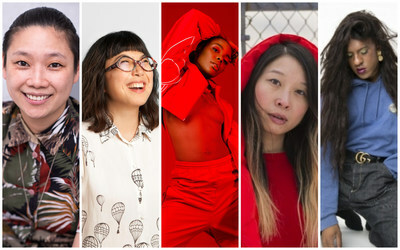 Panelists including New York City trans rapper Mykki Blanco, DJ and social progress advocate Bambii and producer, activist and event promoter Cindy Li (Ciel/Work In Progress) will discuss topics surrounding inclusivity, self-expression and the role progressive nightlife plays in shifting cultural norms and creating a more open world. "Whether it's the music I play, make or an event I curate, it's a reflection of myself and the multiple communities I come from," says Toronto-based DJ Bambii. "I want to show the power and futurism in communities that always get labeled as marginalized." The panel, moderated by Michelle da Silva of NOW Magazine, is called Tomorrow Tonight and will take place May 3 from 6:00-7:30 p.m. at FREE, a creative co-working hub in downtown Toronto. Admission is free, but donations are welcome and will go directly to Rainbow Railroad, a Canadian based charitable organization that helps lesbian, gay, bisexual, and transgender individuals escape violence and persecution in their home countries and find a path to safety. "LGBTQI relationships are still criminalized in over 70 countries," says Winnie Luk, the newly appointed Managing Director of Rainbow Railroad, who will also be speaking on the panel. "The platform will help us reach wider audiences and let people know about our mission and the important work we do." "Events like this help bridge communities, connecting people and encouraging conversations between folks who might not regularly have an opportunity to exchange information, knowledge, experience and ideas," says Luk. "If we can share the stories of who we help, what we do and what is going on around the world with more people, it means we can save more lives." "Absolut believes in a more open world where everybody can be exactly who they are," says Madeline Burch, Absolut's Senior Brand Manager. "That's why we've partnered with nightlife communities across the country who share an ethos of inclusivity and self-expression." 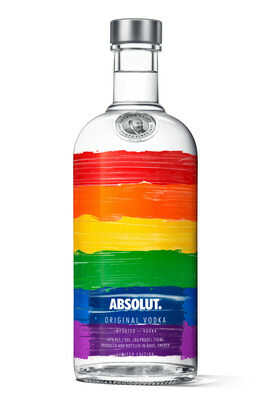 Absolut will continue its support of the LGBTQ+ community with an interactive exhibit at the AGO's First Thursdays event in June, as well as with the release of a new limited-edition Rainbow Bottle that will be available across Canada. With a history in the LGBTQ+ community dating back to 1981, Absolut continues to shout its support and devotion to fostering a more open and equal world. Learn more about Absolut's Tomorrow Tonight panel at https://www.absolut.ca/panel/. Learn more about Rainbow Railroad at www.rainbowrailroad.ca. Panelist Media Availability: 5:00-5:30 p.m. Launched in the US in 1979, Absolut Vodka completely redefined the premium vodka landscape, becoming synonymous with art, culture and nightlife. Every drop of Absolut Vodka is manufactured using ingredients from Åhus, a tiny village in southern Sweden. They call this process One Source: from the hard winter wheat grown in local fields, to the pristine water and the glass bottle itself, everything comes from One Source, making every Absolut bottle in the world the same distinctive character and taste. For more information about Absolut's Tomorrow Tonight event series, visit www.absolut.com/ca or follow @Absolut on Facebook, Instagram and Twitter. Corby Spirit and Wine Limited is a leading Canadian marketer and distributor of spirits and imported wines. Corby's portfolio of owned-brands includes some of the most renowned brands in Canada, including J.P. Wiser's®, Lot No. 40®, Pike Creek®, and Gooderham & Worts® Canadian whiskies as well as Lamb's® rum, Polar Ice® vodka, McGuinness® liqueurs, and the recently acquired Ungava® gin. Through its affiliation with Pernod Ricard S.A., a global leader in the spirits and wine industry, Corby also represents leading international brands such as ABSOLUT® vodka, Chivas Regal® and The Glenlivet® Scotch whiskies, Jameson® Irish whiskey, Beefeater® gin, Malibu® rum, Kahlúa® liqueur, Mumm® champagne, and Jacob's Creek®, Stoneleigh®, Campo Viejo®, and Kenwood® wines. In 2017, Corby was named one of the 50 Best Workplaces in Canada by The Great Place to Work® Institute Canada for the sixth consecutive year. Corby is a publicly traded company based in Toronto, Ontario, and listed on the Toronto Stock Exchange under the trading symbols CSW.A and CSW.B. For further information, please visit our website or follow us on LinkedIn, Twitter (@CorbySW), and Instagram (@CorbySW).